The Super Bowl has become more than just the championship football game; it has become an annual television event known for its halftime show and, for many viewers, its commercials. Year in and year out, companies pay millions of dollars for air time to show off their latest product. The cost of a 30 second spot runs between $5.1 and $5.3 million for this year’s game. Legal gambling sites and bookmakers even are accepting what are known as “prop bets” on which brand’s commercials will be aired first. But not every company willing to fork over millions of dollars will be able to send their message to the more than one hundred million expected viewers. Acreage Holdings – a company whose mission is to make marijuana available to adults for both medical and recreational use – announced that CBS had rejected its proposed 60-second ad to promote medical marijuana for Super Bowl LIII, on February 3rd, 2019. The proposed ad was to show people suffering from different health issues and the positive impact of their legal use of medical marijuana. CBS simply rejected the ad informing Acreage that the network was not accepting ads for medical marijuana. Of course, you can expect to see repeated ads for your favorite beer throughout the game. Thirty three states and the District of Columbia have now legalized marijuana, either medically or recreationally; and it appears that New York, New Jersey, and Illinois are looking to legalize recreational marijuana in 2019. However, most U.S. television networks will not accept ads for marijuana or cannabis related products. The reason being is that marijuana continues to be classified by the federal government as a “class A” controlled substance. While it is far from surprising that CBS rejected Acreage Holding’s commercial, it has still, nevertheless, re-sparked the debate as to whether the federal government’s policy towards marijuana is outdated and contrary to the will of the majority of the country. Indeed, it would appear that the U.S. Food and Drug Administration has taken notice of these, and other similar reports, and that the federal government may be on the path towards legalizing marijuana. Commissioner of the FDA Scott Gottlieb stated last November that “I think there’s an inevitability that [marijuana legalization] is going to happen at the federal level at some point soon.” Additionally, William Barr, nominee for U.S. Attorney General, has expressed in writing that – if confirmed – he does not intend to seek prosecution of individuals and businesses in the cannabis industry acting in compliance with state law. The federal government’s classification of marijuana has created chaos and uncertainty even in states which have legalized its use. Many regulated businesses, for example banks, are reluctant to engage in business with the legal cannabis industry. The conflict between state and federal law has created uncertainty, which must be addressed by lawmakers. Although it remains that the federal government’s ban on marijuana will continue, at least for the time being, there is no doubt that more and more Americans are accepting and supportive of marijuana legalization, both for medical and recreational use. Entrepreneurs seeking to capitalize on the burgeoning legal marijuana markets in states where it is permitted should do so with the advice of trusted legal counsel. The professionals at Tesser, Ryan & Rochman, LLP have the experience to help you legally start and grow a successful business. Call today at (212) 754-9000. 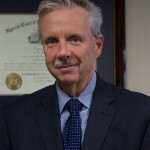 Gregory J. Esq. is the managing partner of Tesser, Ryan, & Rochman, LLP. Mr. Ryan is licensed to practice law in New York and New Jersey and is admitted to practice in the Federal Courts of both states, the Court of Appeals for the Second Circuit and is a member of the bar of the Supreme Court of the United States.